This is the first post in a new category of “Vision Scientists and Artists”. It turns out that quite a number of vision scientists are artists and photographers and what they “see” is often a reflection of how they think about vision and the science behind vision. They often seen the world just a little differently and taking the time to explore it is often rewarding. Its only appropriate to start the first post with the person who originally brought Webvision to life, way back in 1994. 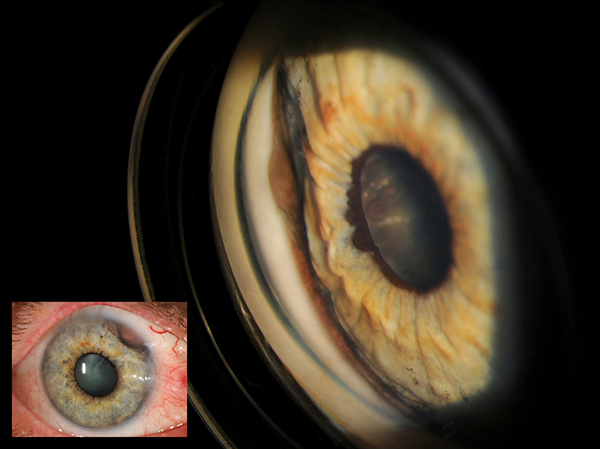 Many of you know the founder of Webvision, Dr. Helga Kolb as a vision scientist. But did you also know that she is also an accomplished artist and painter? This is just one example of her paintings, made from a photograph I made of Red Mountain down in Ivins, Utah some years ago. 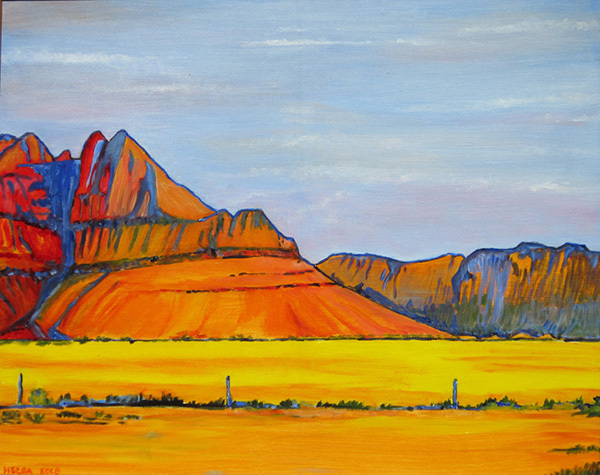 The vibrance and tone of her work is amazing and reflective of the country that she lives in, the Western United States. Dr. Kolb’s paintings are both beautiful and a unique vision of the landscape here. She has had many showings over the years at restaurants, art galleries and here at the University of Utah. The next showing she has, I’ll make a point of getting some images of more of her work to share here. If you are a vision scientist and would like to have some of your work featured here, drop us a line at webvision@hsc.utah.edu.